GELEC has designed small to medium power CHP systems (10 to 500kW heat) that optimize the energy output of its generators. GELEC CHP is the simultaneous production of heat and electricity by the same machine. This technology recovers the heat released through the operations of the engine of the generator (85°C) using a water to water heat exchanger. The kilowatts of heat produced in this way are equivalent to the electric kilowatts generated by the generator (for example, for 20 kW of electricity, you can generate 20 kW of heat). HEAT, SIMPLY, AND FREE ! It is now possible to produce electricity and heat at the same time, and without any additional costs. 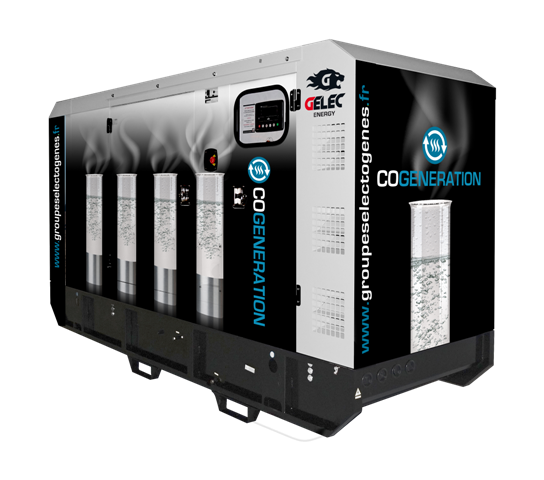 To optimize the energy production of its generators, GELEC includes in its range of generators a small to medium power CHP system (from 10 to 500 kW of heat). This innovation lets the motor of the generator produce heat using a heat exchanger. For example, this heat can power a central heating system or generate hot water, providing self sufficiency to a home, a base camp, an isolated site, etc. An integrated thermostatic system regulates the temperature of the output to one degree. GELEC ENERGY’s CHP systems optimize the output of your generators and control your energy budget. Producing electricity and heat in a single machine, they cut your energy costs in half by generating free kilowatts of heat that can be used for your heating system, your hot water or for any other application that requires heat. 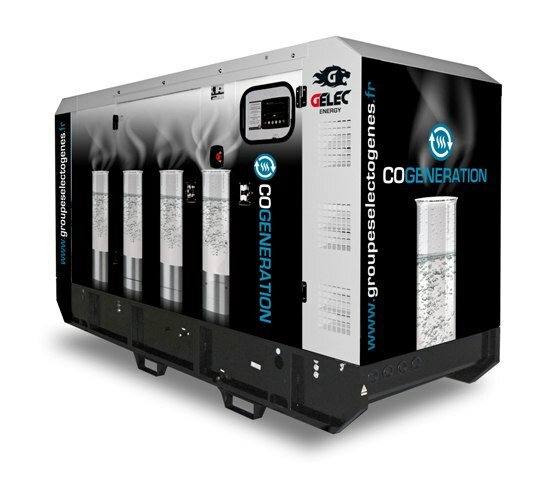 GELEC ENERGY CHP lets you increase your output while lowering the production of CO₂. This is perfect for providing, in one machine, electric power, heating and any other need that requires heat. Our CHP units may be paired with our hybrid solutions to create totally autonomous sites using renewable energies such as the sun, wind or even tidal power. An innovative system that helps save the planet..
FINANCE YOUR EQUIPMENT 100% AND CONSERVE CASH FLOW!